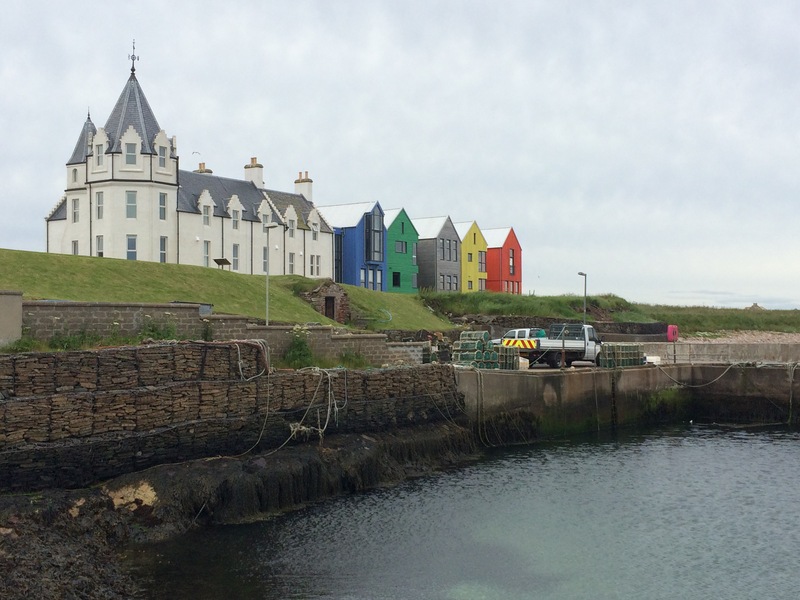 We visited the village of John O’Groats, the most northern inhabited part of the United Kingdom. The harbour area was a dreary collection of souvenir shops and cafés, although the local hotel had been refurbished in a colourful manner and was being used as a natural retreat complete with strange looking accommodation pods set on the hill above the harbour. It was chilly and there were few visitors; didn’t linger long. 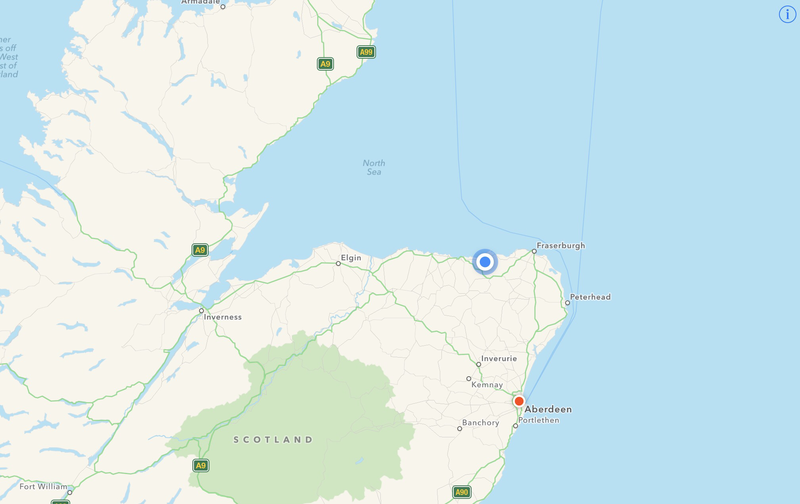 We drove south along the coast towards Inverness, passing Wick, Brora and Invergordon. The rain had hardly stopped all day and driving was tiring. We stayed overnight near Banff at a secluded site in Gamrie Bay, 15 minutes outside the town. The owner was the local prawn fisherman and his wife, Linda. She came to say a friendly hello and stayed chatting with us for half an hour, telling us she had been born and brought up in the area. She was so enthusiastic about her local village of Gardenstown, she said that most of the villagers had the surname Watts or West (she was married to a Watt). She had a girlfriend whose surname was West-Watts until she married a West! She laughed and said she supposed they were all related. A lady happy in her own skin, she was a joy to meet. This entry was posted in Scotland by Mopelia. Bookmark the permalink.